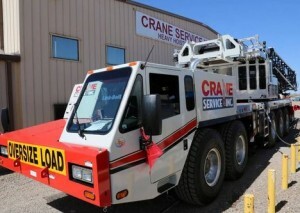 Crane Service has taken delivery of one of Link-Belt’s new ATC-3210 185 tonne/210 ton All Terrain cranes. The company is also adding a fifth Link-Belt ATC-3275 249 tonnes/275 ton/ All Terrain to the fleet. The deal for the new crane was negotiated prior to Conexpo, with an official hand over photograph taken during the show.